Decorated with a colourful illustration by Kate Knapp. 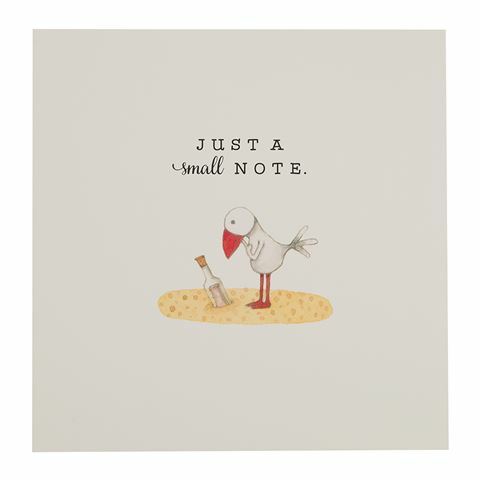 On the front of the card is a seagull standing on the sand next to a message in a bottle, with the text “just a small note” sitting above the illustration. Dimensions: 12.5cm (h) x 12.5cm (w).